Hispanic Californians are people identifying or identified as Hispanic or Latino/a sampled in the state of California. As of 2010, Hispanics accounted for 16.3% of the U.S. population, or around 50.5 million people. The projected Hispanic population of the United States for July 1, 2050 is 132.8 million people, or 30.2% of the nation’s total projected population on that date. 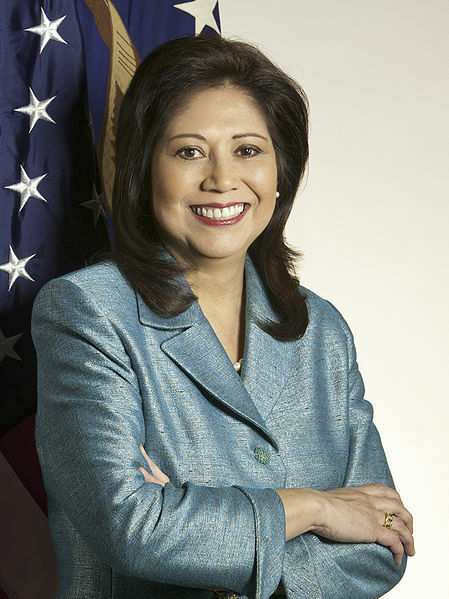 Secretary of Labor Hilda Solis from Los Angeles became the first Hispanic woman to serve in the U.S. Cabinet.